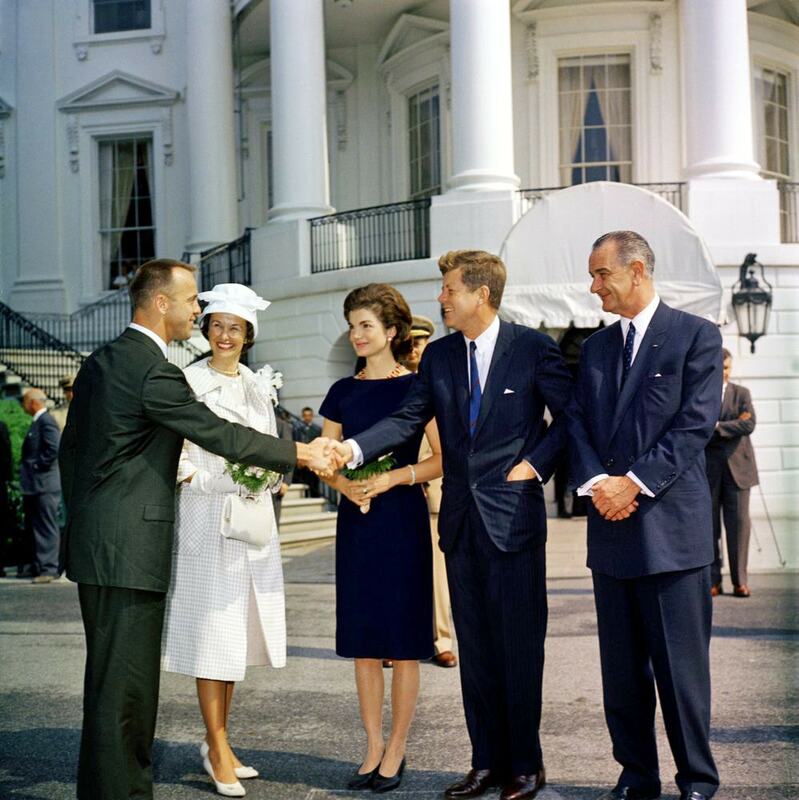 ★ Arriving at the White House for the presentation ceremony of his NASA Distinguished Service Medal, Mercury Seven astronaut Commander Alan B. Shepard and his wife Louise are greeted by President John F. Kennedy, First Lady Jacqueline Kennedy and Vice President Lyndon B. Johnson, in this photograph by Robert L. Knudsen, taken on this day in 1961. On 5th May 1961, Shepard had made history as only the second person, and first American, to ever travel into space, aboard a spacecraft he named Freedom 7. Launched atop a Redstone rocket from Cape Canaveral, Florida, his spacecraft reached an altitude of 116 miles during its 15-minute sub-orbital flight, before splashing down in the Atlantic Ocean. When reporters asked Shepard what he was thinking during the experience, he famously replied “The fact that every part of this ship was built by the lowest bidder”.